Can a plastic violin match a Stradivarius? What to do with those 3D printers? Laurent Bernadec used one to make a violin. Not just any violin, but one designed to copy the legendary Stradivarius violin. Last week he was giving short performances at his company’s booth at CES. 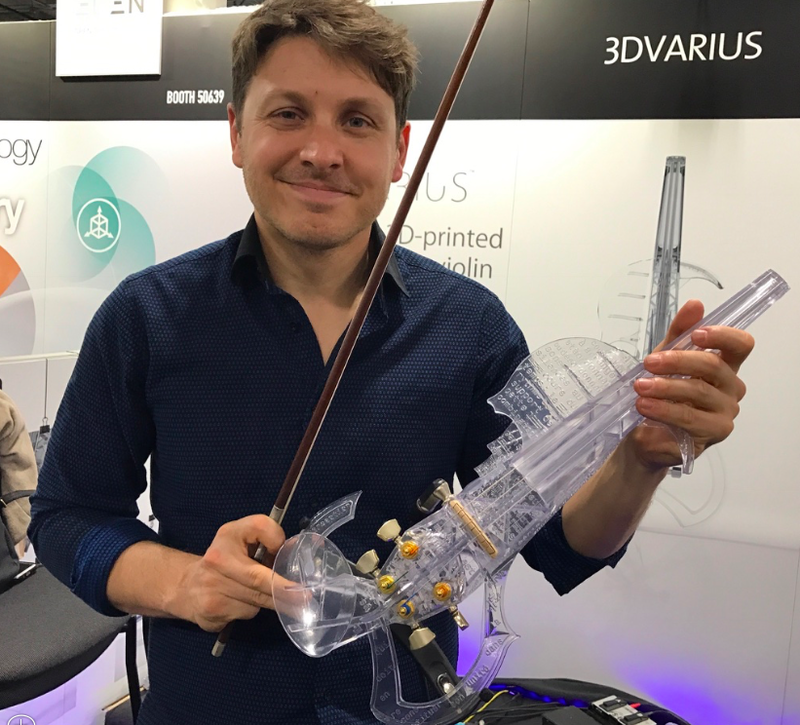 Bernadec, an engineer and musician, said his violin mimics the weight and feel of a classic Strad, which was scanned to provide the basis for the plastic version. One advantage of a printed violin is it the consistency that comes from having a body made from a single piece of material. In this case, plastic. The violins have been selling in Europe since 3DVarius completed a Kickstarter funding campaign last summer. The price is bit $8,000. You can get more information about the printing process, see videos of the violin in action, and place an order on the 3DVarius website.